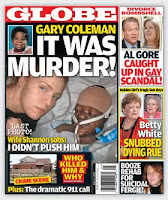 The controversy over The Globe publishing photos of Gary Coleman on his deathbed builds on a rich tradition in the U.S. Press. 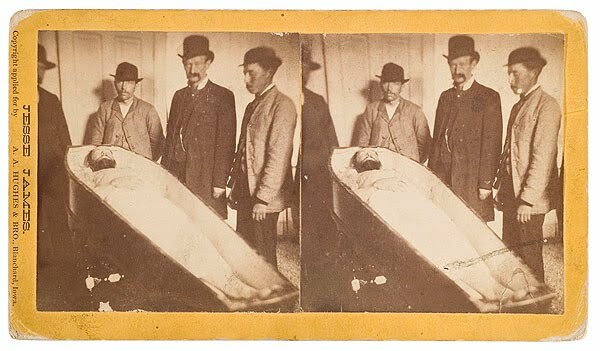 It wasn't all that long ago that the public expected to see photos of dead criminals, in their coffins, as proof the person had in fact died. 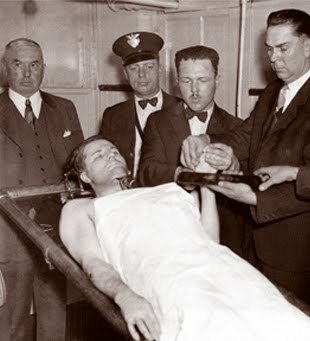 FBI agents who caught and killed "Pretty Boy" Floyd displayed his body for the media. 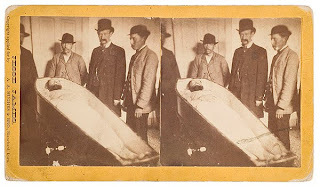 A photo of bank robber Jesse James in his coffin was turned into a collectible "stereographic" photo. Just a year ago, the Pentagon decided to allow photos of the closed coffins of those killed in combat! 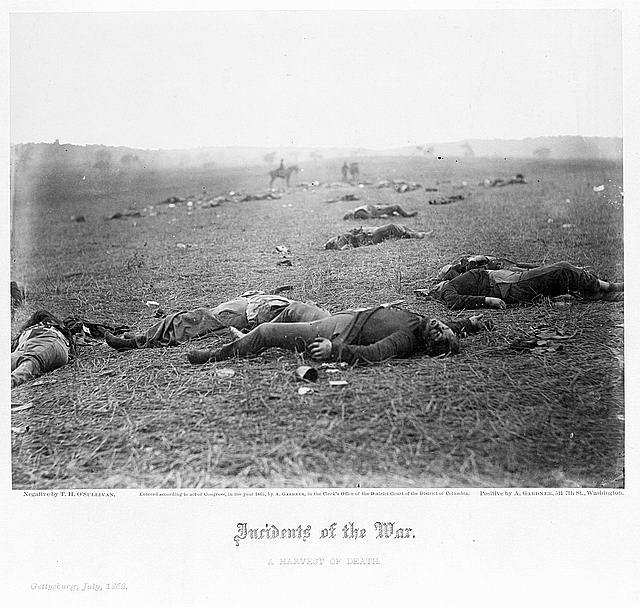 And there have been controversies about newspaper photos showing mortally wounded U.S. troops. During the Civil Rights 1960's, Emmett Till's mother insisted on an open coffin for her murdered son, proof of how he had been beaten to death. A photo of the boy's mangled face and head was published in papers on the front page. During the civil war, Mathew Brady and others originated combat photography, and bodies were part of the display. A photo was even secretly taken of President Lincoln in his coffin. It seems to me that Newspapers and TV display pictures of dead bodies more frequently when they are far away from home....the body of a dead Iraqi soldier is much more likely to make it into print or on the tube than that of a U.S. soldier mortally wounded. Sometimes a photo show the seconds before death...as in the famous "falling man" photo on 9/11. That man was never identified, which also makes it easier for an editor to put a picture in, or a TV station to air video. Would they have used the photo if he had been identified? One of the most iconic photos of the Vietnam War was of a South Vietnamese soldier executing a prisoner...a photo of a death. 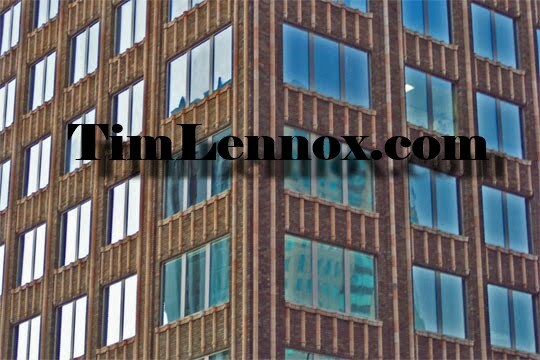 Remember the L'Express Commuter plane crash in Ensley, just outside Birmingham in 1991? There was live television footage shown in which the blackened body of a victim could be seen still strapped into his or her seat. Live TV is fraught with dangers like that. 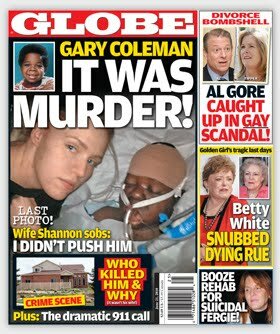 Gary Coleman is far from alone. There is always a morbid curiosity about the end, and always a media willing to exploit it.